The hottest thing in fashion this year has been rubber bands! Yes, this trend hit my house and my children and I have our ups and downs about hem. Why? The bands tend to be everywhere! 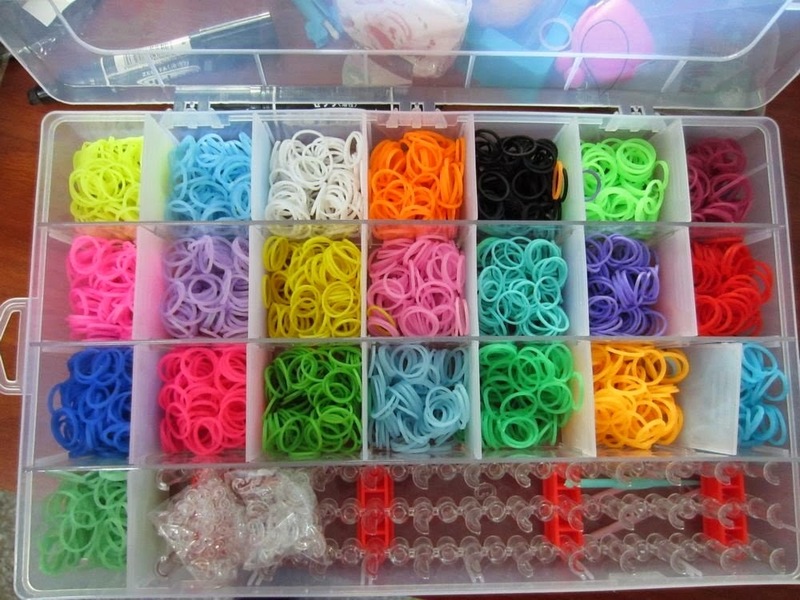 I was so over the moon to find the Rainbow Bandz Organiziation Box! This magic box helps my kids organize the band and keep them off my floor! The Rainbow Bandz Organiziation Box is a clear plastic organizer case for rainbow loom and rubber bands with adjustable compartments. It has more than enough of room to fit the rainbow loom kit and other connectors. It is a great product for the price, I highly recommend getting one for your kids that are into rubber bands! It also makes the perfect gift! 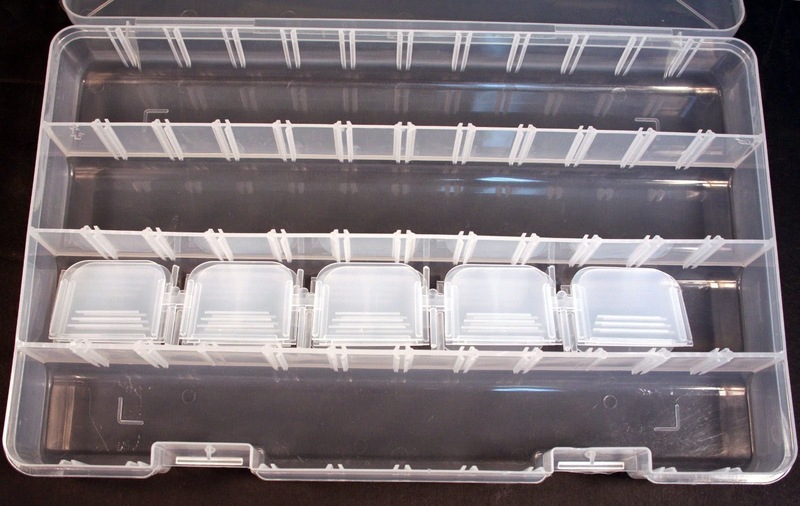 Clear Plastic Storage Organizer Case for Rainbow Loom and Rubber Bands -Adjustable Compartments! Fits the Rainbow Loom Tool and has plenty of room for bands and connectors! Compartments keep parts separated and are adjustable with the 20 included dividers Compartment rows are 2 inches wide x 1.9 inches deep and 13-1/2 inches long maximum See thru plastic storage organizer case fits the Rainbow Loom and loom bands and clips!! Adjustable compartments keep parts separated. Includes 20 dividers compartment. See through plastic storage organizer case fits the all Rainbow Loom style and loom bands and clips!! Each are 2 inches wide x 1.9 inches deep and 13-1/2 inches long maximum. 14" x 8.5" x 1.875" overall.